It has been known for some time that geometry and proportions were standard tools in the design and construction of medieval cathedrals. 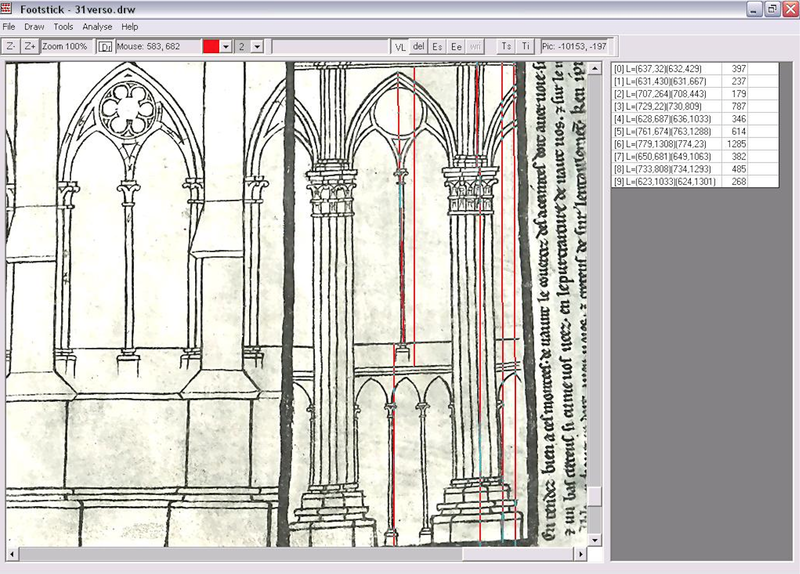 Studies on the buildings themselves are plentiful, but studies of Gothic architectural drawings have been surprisingly neglected in this respect, and few scholars have analyzed drawings for the presence of the same design methods as used in the built edifices themselves. 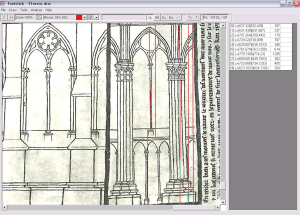 This paper demonstrates that Gothic architectural drawings, especially those of Villard de Honnecourt, did use the same proportions as those in contemporary buildings. 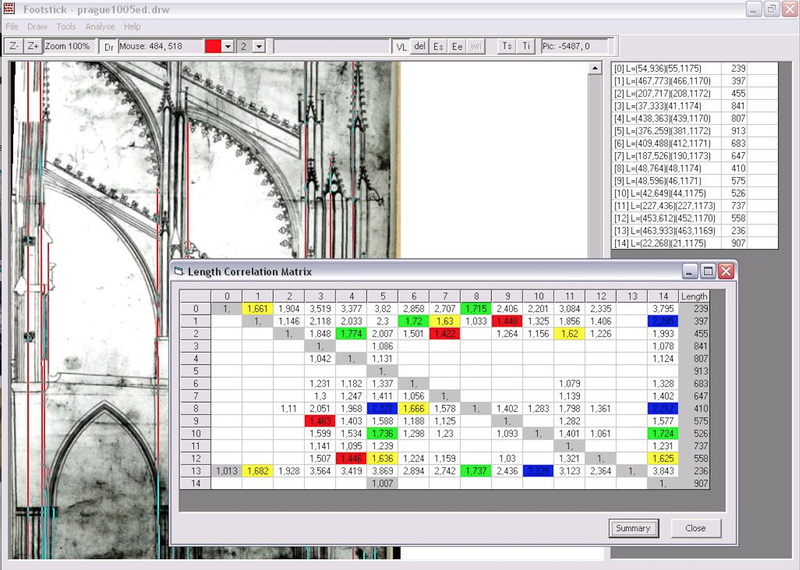 It deals with proportions and geometry in Gothic architecture and discerns methods of analysis from recent proportional studies, as well as providing a novel method via a computer program written specifically for this purpose. 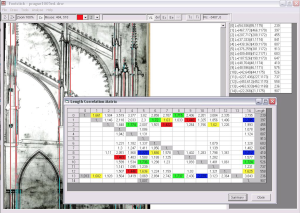 The use of electronic equipment in studies of geometry and metrology is nowadays a nearly essential requirement. Studies conducted in this manner have mechanical objectivity and precision, and also reduce the margin of error to the least possible amount. Nevertheless, one must always tie what she finds to the Gothic craft practice so that the analysis does not remain a fabrication of the computer, which is, after all, only a tool. 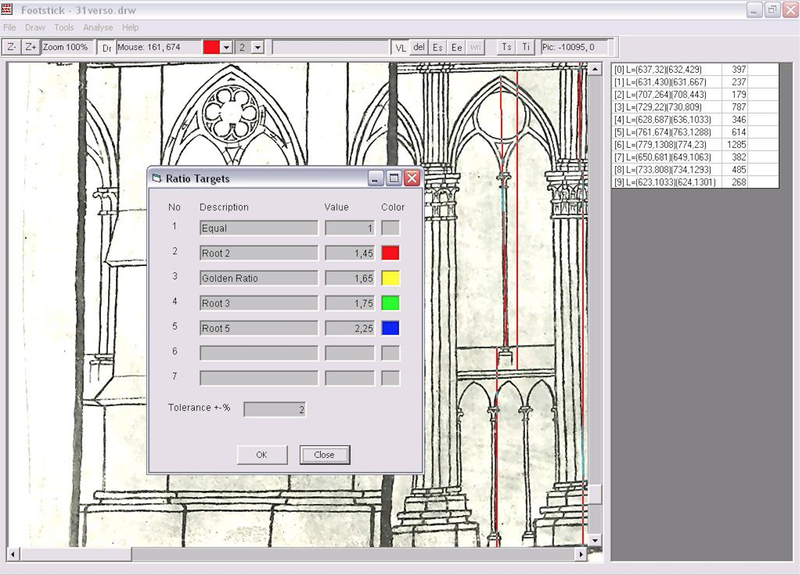 The computer program written specifically for this research analyses the relative proportions between elements in medieval architectural drawings, searching for popular ratios used in construction at the time which are √2, √3, √5 and the Golden Section. The proportional relationships in the drawings are been numerically analyzed since a graphic approach may give differing results. Given the nearly endless possibilities of design, still within the rules of proportion, it is natural to think that Gothic masons extended their creativity into the realm of church furnishings. 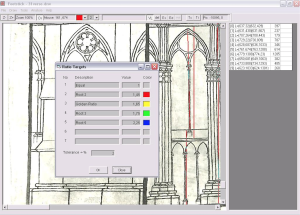 The fact that Gothic design has a solid mathematical foundation that is mainly geometrical but on occasion uses numerical ratios can be extended to both architectural and micro-architectural designs on parchment, as will also be demonstrated by the findings of this research.